A sleek and contemporary bespoke Diamond and Palladium ring by Julian Stephens Goldsmith, designed to create a unique and modern engagement ring for a special client. 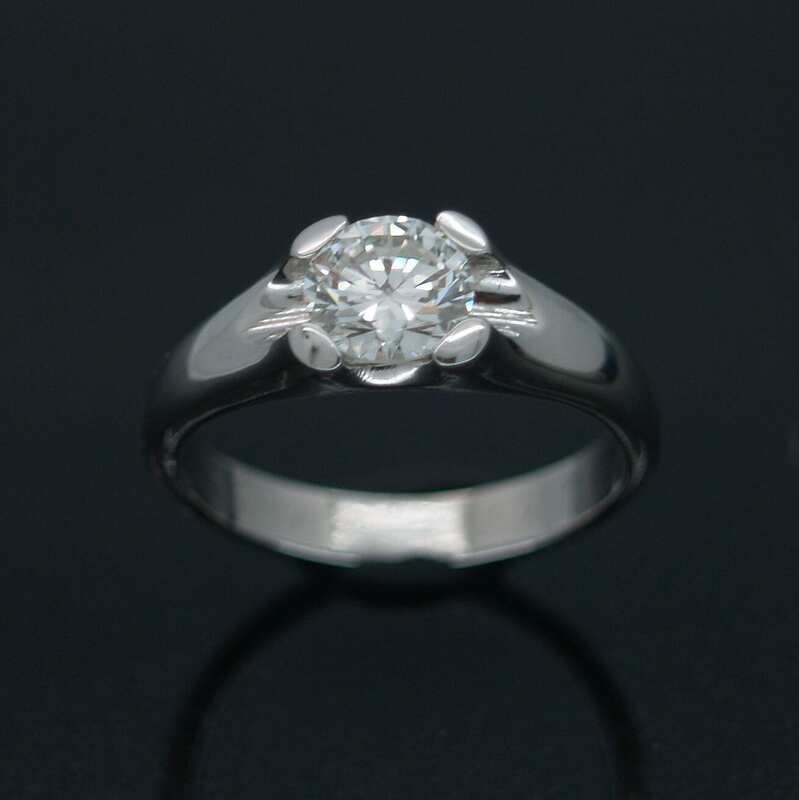 This truly magnificent custom made engagement ring is a fine of Julian’s commission work creating sleek, modern engagement rings. 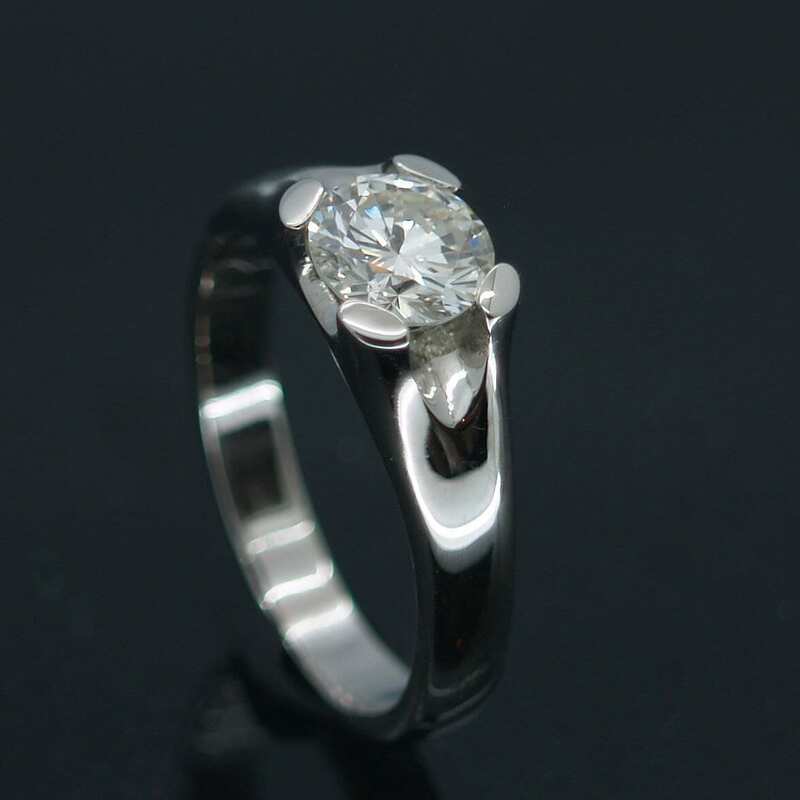 This beautiful ring design effectively showcases a stunning Round Brilliant cut Diamond, which is expertly hand set in solid Palladium to create this contemporary, minimalistic design. The solid Palladium band offers deceptively simple, clean curves with a bold raised claw setting to secure and heighten the drama of the exceptional Round Brilliant Diamond centrepiece. This beautiful Diamond and platinum custom made engagement band is finished with a glossy polished effect by our master Goldsmith Julian Stephens, to create this luxurious, contemporary engagement ring design which proudly bears Julian’s exclusive makers mark and Hallmark.